A question about digital business & IT? The goal of our expertise center is to develop new theories and best practices in the field of IT management and governance. We focus on how organizations enable their business and IT management to take up their responsibilities with regards to business/IT alignment and value IT investments. Digital Business & IT distributes innovative research, based on scientific methods and with a highly practical relevance in IT as well as the business community. In order to provide guidance to boards, we have created several research briefings and toolkits. In this briefing, we will shed light on the results of putting our research into practice. 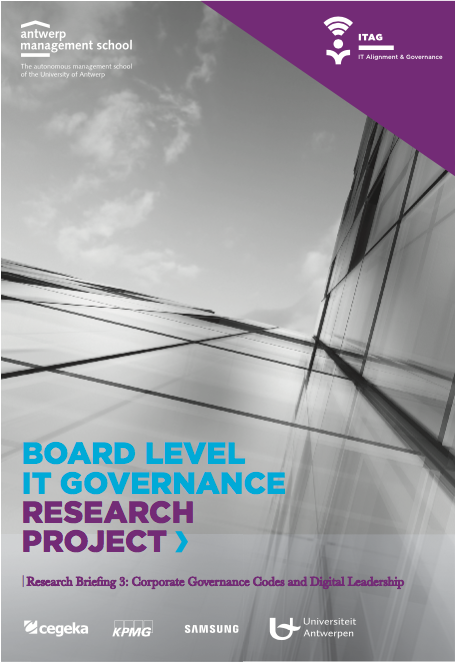 A fourth briefing of the research project "Board Level IT Governance": How to realize the value of board level IT governance? In this briefing, we will shed light on the results of putting our research into practice. 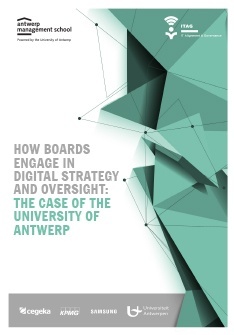 Board level IT Governance case study: download the full case and read more about the IT governance structures and digital strategy at the University of Antwerp. Board level IT Governance case study: download the full case and read more about the governance structures and digital strategy at Agfa-Gevaert. This dashboard will help boards to evaluate whether their board level IT governance approach is implemented properly, whether it is generating the desired outcomes and how it can be improved. 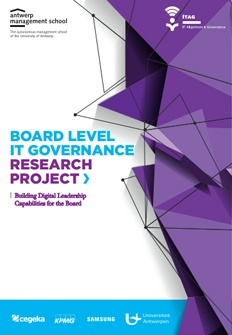 Download the toolkit 'Board Level IT Governance', build digital leadership capabilities for the board and articulate the role of IT within your organization. A third briefing of the research project "Board Level IT Governance": Corporate Governance Codes and Digital Leadership. Read more about how and why boards should invest more into information technology policy. 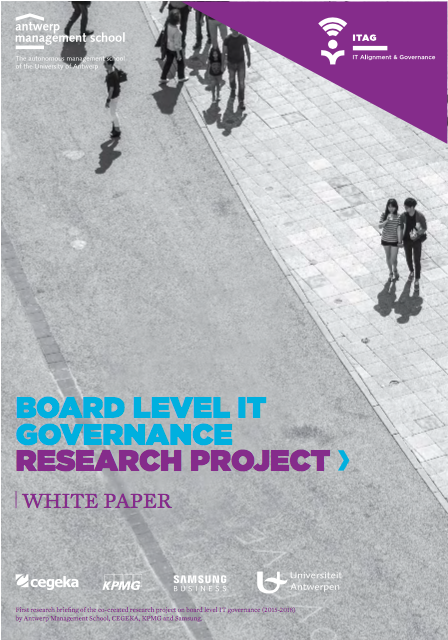 A second briefing of the research project "Board Level IT Governance": How Boards Lead and Govern Digital Assets. Read more about how and why boards make information technology policy. A first briefing of the research project "Board Level IT Governance": Addressing the Governance Challenges of the Digital Era at Board Level. Read more about the context and the approach of the project.